Contours are imaginary lines to connecting points of same height in slop surface. The contour maps helps to find the elevation difference in existing ground and also provide existing terrain conditions, which is helpful to design teams to deciding the proposed ground profiles. SURVEYOR – a Web based tool for Conducting online surveys which are most suitable for NGOs, Voluntary Organisations and Publications and Print Media and Audio Visual Media. - Multi Language Support (Optional). Accurately determines the terrestrial or three-dimensional position of points and the distances and angles between them to establish land maps and boundaries for ownership. 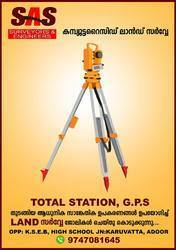 We are the number one company known for offering Topographic Survey to the clients. This service is demanded by various organizations and industries for making essential measurements to determine the relative position of points and physical and cultural details above, on, or beneath the surface of the Earth. Another service unique to Philia , land surveying offers our clients a great opportunity to assess different portions of land. We provide the best land surveying services that are accurate in every sense. Our exuberant team of Land surveyors can guide you in sorting out all your doubts relating to different portions of land. Matching up with the ever increasing requirements of the customers, we are engaged in providing Land Engineering Survey Service. We are offering a wide range of Surveying Services that include Contour Survey, Surveying Services, Topological Survey, Railway Engineering Survey, Detail Engineering Survey and Levelling Services. Our flawless range of services is offered in land development works. Offered at market leading rates, these are designed as per the specific requirements of our valued clients. Digital Land Survey is the interesting job which offers high salary both in India and abroad.